Our goal is to assist each patient in achieving and maintaining long term dental health and a beautiful smile. Some of the services we provide include Cleanings & Prevention, Cosmetic Dentistry, Periodontal Disease, and Restorations. Greenway Dental Excellence offers family and cosmetic dentistry. 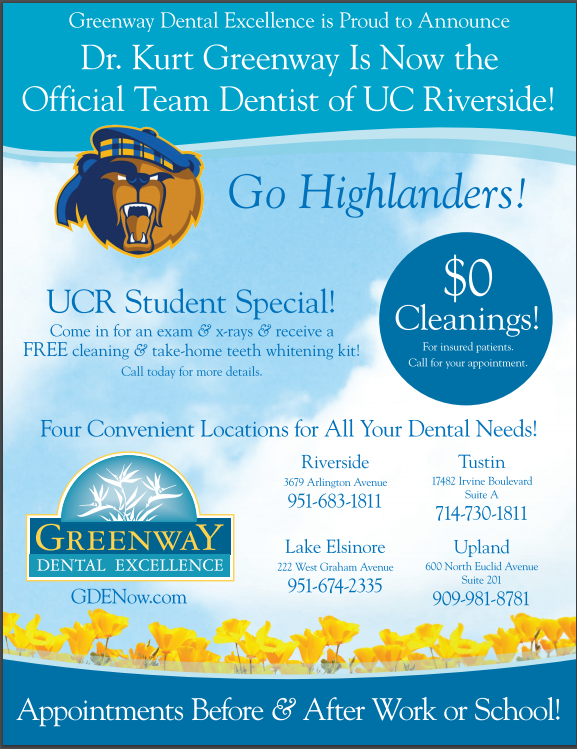 Serving Tustin, Upland, and Lake Elsinore.